I get many calls from customers in Canberra ,Queanbeyan and surrounds asking whether they should renovate their bathrooms. First of all you have to ask yourself what is my budget,and whether it is affordable.Knowing that the humble bathroom is the second most expensive room in any household,the Kitchen coming first. Is the bathroom being renovated for selling reasons or are tiles falling off the walls,is the shower leaking into adjoining rooms,or it has seen it’s life expectancy.Most of the bathrooms we renovate are approximately twenty to thirty years old.If you were to put a cost on a bathroom in todays terms ,say it cost $15000.00 to renovate now and the average life expectancy is 10 years it would equate to approximately $29.00 per week. Of course you can cut costs of rebuilding your bathroom by a simple make over,eg-tiling over existing tiles a new vanity and tapware,but are you resolving the issues of what you cant see behind the walls like plumbing pipes,wiring and rotting wall framing. At BestPrice Bathrooms we are happy to assess and provide an obligation free quotation for any of the above queries or doubts to set your mind at ease.We offer a range of fixtures that are tried and tested that is affordable and long lasting from local reputable suppliers. Tapware, tiles, vanities, accessories the list goes on. Best Price Bathrooms offer generous allowances for the purchase of prime cost items (P.C. allowance) at reputable retailers through out Canberra and Queanbeyan. 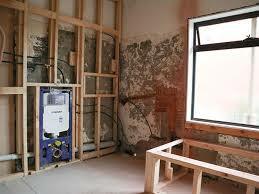 This can be a daunting task as there are so many types and variations of tapware, vanities etc. ranging from dollars to thousands of dollars. Is a $600.00 tap better than a $150.00 dollar tap? You ask, in the end water comes out of the spout or rose, chromed, brushed finish, powder coated black, rose gold, the choices are endless.It is wise to choose an item with good warranty and back up service in the event of a warranty claim. Vanities come in many sizes and variations of wall hung, to floor with kick board, poly marble top, ceramic top, stone top, under mount basin, soft close doors and drawers etc. 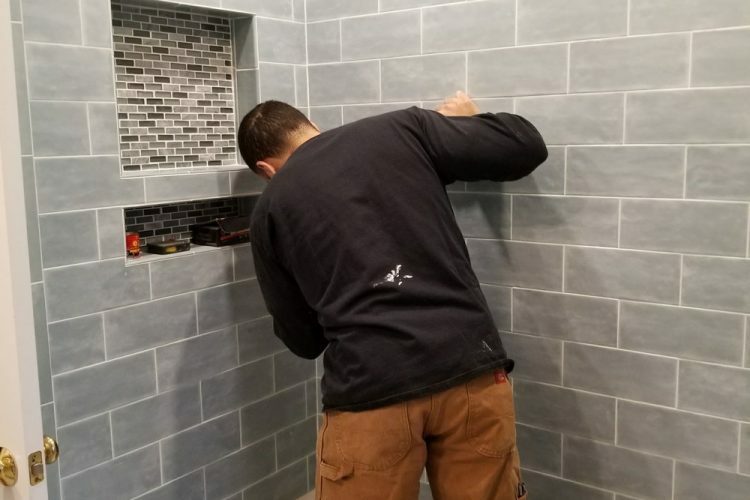 We are happy to help with selections for your new bathroom and recommend that you do not over spend on unnecessary items to keep your budget in tact. Over the last 7 years we have noticed that more and more bathrooms that we perform have a more natural/earthy colour scheme.Generally created by ceramic tile choice. Usually a darker floor tile and lighter matching tone wall tile. Or,if not tiling floor to ceiling a contrasting paint colour. Feature tiles for example,mosaics or strips are less common these days as people are seeking a more timeless finish,and opting for either a whole wall feature (eg floor tile to run up a single wall with contrasting grout and silicones), brick style laying of tiles etc. 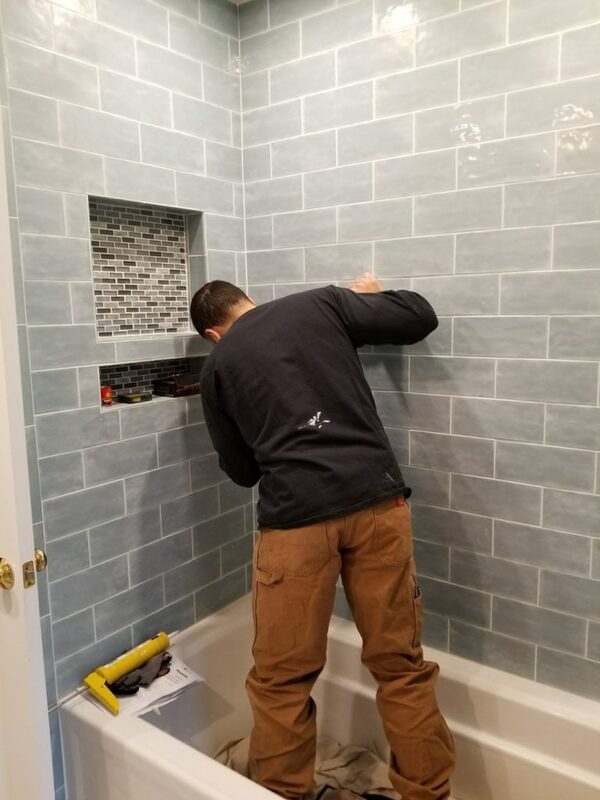 It is important that tile choice and colour choice is worked out with your renovator well in advance,as this is to last for many years to come.Again we are more than happy to help you with choosing a colour scheme for your bathroom . We at BestPrice Bathrooms get called to many jobs to assess water leaks and blocking drains regularly. Most of the leaks in bathrooms are caused by the shower recess due to poor water proofing practices from the 80’s.Unfortunately for most customers suffering water leaks into adjoining rooms,their building insurance will not cover the cost of repairs.Tree roots blocking drains and ingressing into bathrooms is another cause of leaks and damage to houses.As we are licensed plumbers ,drainers and gasfitters, Trading as 1800Tapfix we can identify these problems and offer solutions to rectify gurgling, bubbling drains, water leaks, water hammer, leaking taps and showers, laundries and kitchens.